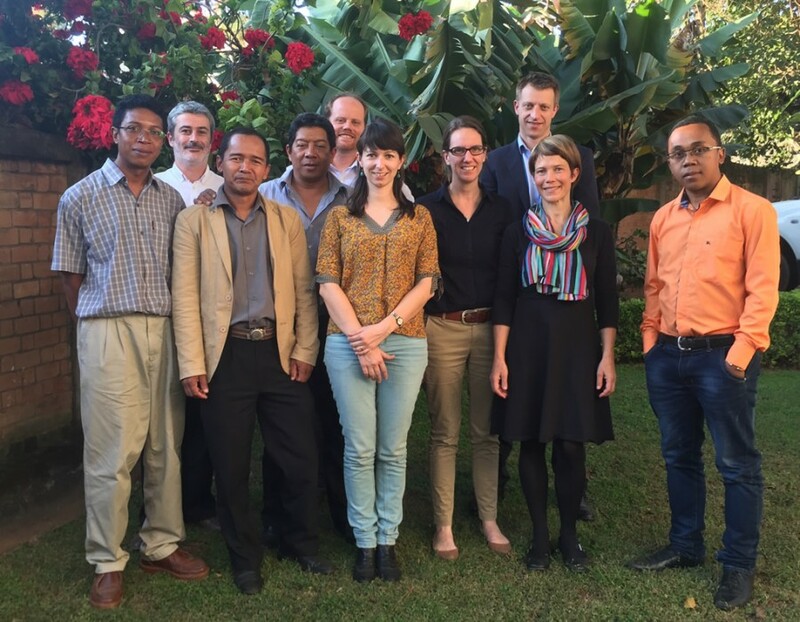 Demonstrating successful tools, standards, and models of innovative finance for conservation. Forest Trends carries out its work through eight initiatives, which pursue common overarching strategic focal areas laid out in Forest Trends’ Strategic Plan. Forest Trends’ Biodiversity Initiative works directly with companies, governments, banks and conservation organizations to help them improve the outcomes for biodiversity from public and private sector development projects. We offer advisory services to governments on policy development and landscape-level planning for “No Net Loss” – and preferably “Net Positive Impact” – on biodiversity, using the BBOP standard and other best practices. We also offer strategic and technical advice to companies with a biodiversity footprint. We work with companies at both the project level and with company-wide identification and management of risk and opportunity related to biodiversity. Supporting the development and implementation of government strategies for No Net Loss or Net Gain (NNL/NG) of biodiversity. These strategies typically cover regulations and policy, technical guidelines, and preparation of public and private sector organizations for their role in the system, whether on the supply or demand side, or as brokers. Conducting policy gap analyses tailored to specific countries, provinces and regions, and providing advice on the advantages and disadvantages of different options in order to embed NNL/NG in the policy framework. Assisting governments (including Ministries of the Environment, Mining, Energy, Finance, Agriculture, Planning and Justice) in the development and use of a roadmap to achieve Net Gain. The roadmap will show how, over time, to put into place the guidelines, systems, planning, coordination and capacity needed to deliver mitigation and Net Gain in daily land-use planning and decision-making. Producing guidelines on core issues in offset design and implementation. Such guidelines include: following the mitigation hierarchy, defining limits to what can be offset, exchange rules and metrics to quantify biodiversity losses and gains, site selection, implementation options, monitoring & evaluation, enforcement and adaptive management. Preparing data sets and spatially explicit plans and maps to support NNL/NG planning. Capacity building and training of staff responsible for designing and administering biodiversity mitigation systems, land-use planning and permitting. Helping governments build the financial resources and technical capacity to implement these systems. Assisting companies as they plan for NNL/NG at three stages 1) early assessment of the feasibility of achieving NNL/NG; 2) design and implementation of NNL/NG during and after the preparation of EIAs; and 3) assessment of existing mitigation measures, including offsets, for conformance with standards. Providing a roadmap, checklist and common definitions and guidance for companies considering or planning no net loss/net gain biodiversity commitments. Developing and administering a ‘Stepwise’ approach for companies to build towards compliance with the mitigation hierarchy and BBOP offset standard. Creating tools for company staff and consultants, such as terms of reference for impact assessments and model biodiversity impact mitigation and offset management plans. 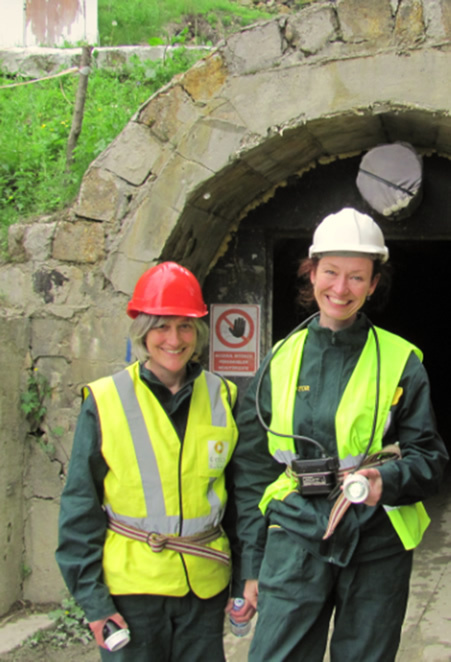 Training company staff and especially the consultants they employ to assess impacts and design and deliver mitigation measures (including biodiversity offsets). Writing publications, communication tools and position papers on the mitigation hierarchy, No Net Loss, Net Gain, biodiversity offsets, etc. Forest Trends’ Coastal and Marine Initiative aims to protect marine ecosystem services by harnessing markets and private sector investment to complement conventional coastal and marine management methods. Oceans provide many critical but undervalued ecosystem services that support not only coastal inhabitants but all life on the planet. However, coastal areas continue to be developed, degraded, and over-exploited, undermining the capacity of oceans and watersheds to support critical fisheries, protect people from storms, prevent erosion, provide places for tourism and recreation, and maintain supplies of clean water for people and nature. Build a community of practice for marine payments of ecosystem services (PES) and other innovative financing mechanisms. For a brief overview of our Coastal and Marine Initiative (formerly MARES, Marine Ecosystem Services program), click here. Forest Trends’ Communities Initiative (CI) partners with indigenous and traditional communities in their efforts to secure their rights, conserve their forests, and improve their livelihoods and territorial governance. These communities play a key role in the global challenge of fighting climate change and saving the remaining forests from destruction. The CI works primarily in Latin America where 50% of the world’s tropical forests remain, with 25% of these forests inhabited and guarded by indigenous and traditional communities. The CI provides key information, capacity building, and technical assistance so that communities can secure their rights, manage their forests, and create economic livelihoods that strengthen their cultures and improve their livelihoods. Forest Trends’ Communities Initiative strives to create strategies that are in line with our partners’ cultural heritage. These ongoing efforts reflect an approach to development that emphasizes the values and norms of local communities. We are designing a Territorial Governance program to increase the capacity of indigenous organizations to manage their territories and strengthen their local economies. The program will take place in Acre (Brazil), Puyo (Ecuador), Ucayali (Peru), Putumayo (Colombia), and Chiapas (México), working with two local partners, one academic and one indigenous, in each of these regions. It will provide training on rights, strategic planning, financial administration, integrated natural resource management, territorial border protection and monitoring, life plans, economic alternatives, and other essential curricula for good territorial governance. 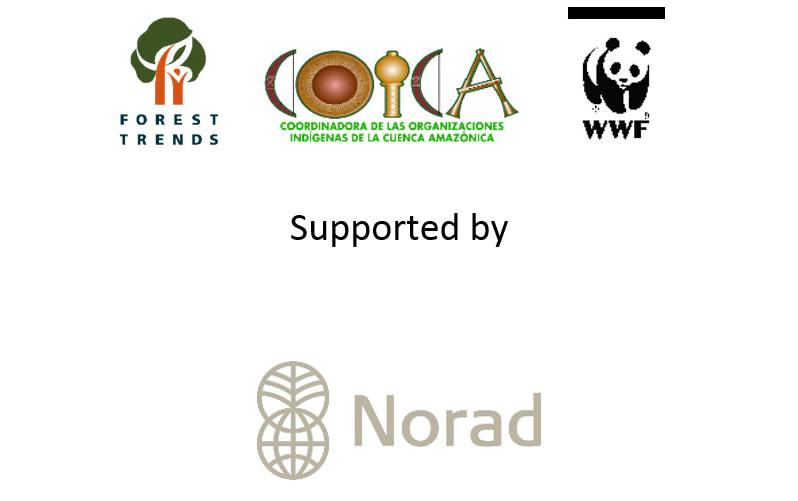 Click here for a brief summary of our initiative “Advancing Global Forest Governance,” funded by the International Climate and Forest Initiative of the Norwegian Government (NICFI). At the Oslo Tropical Forest Forum, we presented an update on the Capacity-Building Program on Indigenous Territorial Governance that we have been leading in partnership with WWF in Brazil, Colombia, Ecuador, and Peru. Cultural Mediators are community teachers trained to educate according to local cultures and realities. The CI develops specific curricula on local approaches for climate change adaptation as well as integrated territorial planning and management, and working with the public school system both within and near forest communities to introduce climate change awareness, risk mitigation, and adaptation. The CI develops indigenous women’s handicrafts cooperatives in order to generate income, increase women’s participation in their communities, create skills for new generations, and value traditional cultural practices. The initiative works with women artisans to improve their business acumen, enhance product quality, and establish connections to markets in order to increase the viability of their artisanal businesses. Forest Trends’ Communities Initiative provides technical assistance for designing and implementing agroforestry systems at the community level. These systems focus on achieving food security, increased nutrition, climate resilience, and economic alternatives. We are currently working with the Brazilian Agricultural Research Corporation (EMBRAPA) in Acre. By strengthening technical assistance strategies, EMBRAPA supports the CI in our efforts to select climate-change resilient food crops and establish medicinal plants gardens, to enhance family income and provide skills training for youth. Within these living pharmacies, a variety of medicinal plants are cultivated, which represent a history of traditional customary use. AIME is an USAID-funded program that supports forest-dependent communities in contributing and directly benefiting from climate change mitigation efforts that align with their Life Plans. The program is being carried out by the Forest-Based Livelihood Consortium, a partnership of ten environmental and indigenous organizations in Latin America, and led by Forest Trends’ Communities Initiative. 30 villages situated on 185,000 hectares of land, form part of a dream to recover and protect these forests which are home to 930 people. The Igarape Lourdes community decided to become part of one of the five indigenous REDD pilot projects in the Amazon Basin. Short video of the third Indigenous Economy workshop, under the Accelerating Inclusion and Mitigating Emissions (AIME) program. Full video of the third Indigenous Economy workshop, under the Accelerating Inclusion and Mitigating Emissions (AIME) program. This program, a component of Forest Trends’ NICFI-funded initiative entitled “Advancing Global Forest Governance: Defending the Living Amazon for Humanity,” enables greater control by indigenous groups over resources indended for territorial control and governance in five countries of the Amazon basin: Brazil, Peru, Ecudador, Colombia, and Guyana. Support for the development of culturally appropriate proposals from indigenous territories and national organizations within the five target countries, as well as engagement with multilateral, bilateral and private funding organizations. A governance training program, drawing on local and national expertise to develop territorial life plans that express the cultural identity, priorities, aspirations, and self-governance of their indigenous community authors. 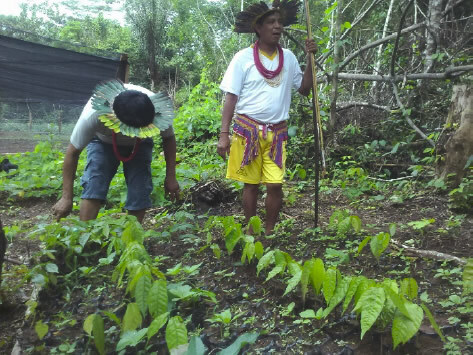 Expected Results: The training, improved administrative and financial management skills, and networking enabled by this project are expected to generate successful proposals leading to at least US$20 million in new funding commitments through indigenous funding channels such as the proposed Indigenous Fund for the Amazon. With support to improve indigenous livelihoods and territorial governance, indigenous peoples can more effectively help to slow or even reverse deforestation. In partnership with the IKEA Foundation, the Communities Initiative supports sustainable economic opportunities for 2,000 Yawanawa and the Surui people of the Brazilian Amazon – whose territory encompasses 450,000 hectares. More specifically, we are leveraging opportunities for women and young people – through agroforestry training, women’s craft art co-operatives, youth cultural exchanges, and installation of solar water pumps. The Brazil Matrix maps initiatives for payments for ecosystem services in Brazil, thereby providing vital information for the conservation and recovery of ecosystem services in Brazil. A new movement, linking food, conservation and communities is taking shape in the Amazon. Forest Trends, Canopy Bridge and some of Latin America’s best-known and most influential chefs are looking to use the Amazon’s vast cornucopia of healthy ingredients and traditional cuisines to bring the flavors and nutrition of the rainforest to tables in indigenous villages and big city restaurants, in the process creating new markets and businesses for products that help protect the forest and nurture local communities. Read more here. Ecosystem Marketplace is a leading source of knowledge on market-based approaches to sustainable environmental financing around the world. Ecosystem Marketplace covers developments in environmental markets through timely news and feature articles, as well as monthly newsletters. We also regularly publish original research reports on markets for carbon offsets, biodiversity offsets and compensation, watershed investments, and broader private investment in conservation. In addition to making our work freely and publicly available online, we share our knowledge through webinars, speaking engagements, consultations, and partnerships with other organizations. Our research to date has shown that market-based approaches can be sustainable, diverse and adaptable, and scalable to a level that has significant conservation outcomes. Delivering this knowledge to market actors (e.g., investors, project developers, brokers, retailers, standards, registries), policy-makers, and regulators. With Ecosystem Marketplace’s high-quality market intelligence, project developers can better manage and sell ecosystem services; buyers can better understand the markets; policy makers can learn how to create more enabling environments for markets; and market analysts can better understand real-world challenges and detect market trends. The Forest Policy, Trade, and Finance (FPTF) initiative aims to promote policies which harness the power of market incentives for the legal and sustainable trade in timber and other commodities harvested from forest landscapes. 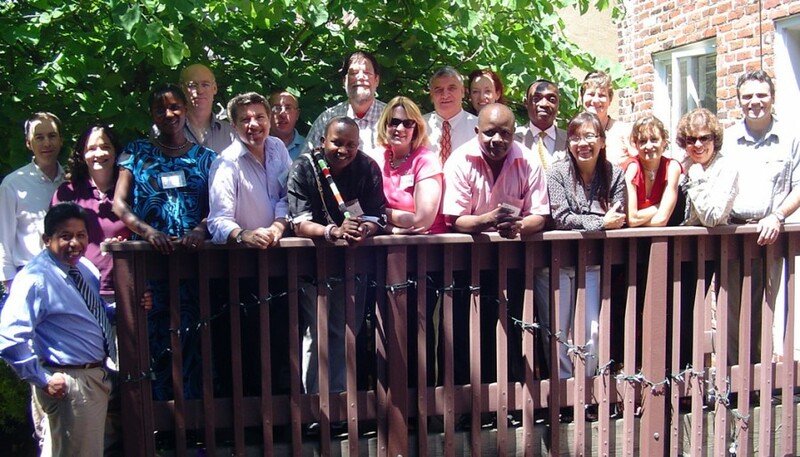 FPTF combines research, mentorship, and convening “communities of practice” to address issues at the intersection of natural resource governance, markets and trade, law enforcement, resource rights, and green growth. Since its creation in the early 2000s, FTPF has gained the trust of high-level government decision-makers in key timber-producer and -consumer countries by producing timely data analysis with key insights on relevance for markets, livelihoods, and policy impact. Much of the research is developed in close collaboration with local civil society organizations, researchers, and other stakeholders. FPTF produces timely analysis of timber and agricultural commodity market dynamics and trade flows, utilizing data from both primary (e.g., field research, customs agencies) and secondary sources, and focusing on trade flows that are at high risk of illegality. Engaging national stakeholders has proven essential in obtaining buy-in to our research results that can ultimately influence policy. Through this work, FPTF has been credited with helping open a dialogue with the Government of China on illegal logging, influencing the development of both FLEGT and REDD+ in Vietnam and Laos, and assisting governments, NGOs, and the private sector to understand risks in global timber supply chains. FPTF has demonstrated the degree to which timber and agricultural commodities on global markets are sourced from illegally deforested land, a finding that now underpins key multilateral and bilateral strategies for addressing deforestation. The vast majority of corporate commitments to reducing deforestation have centered around a few commodities in a handful of countries – Indonesia and Brazil chief among them. While targeting these countries is critical, doing so misses regions such as the Mekong; less-traded commodities such as rubber, sugar, and rice; In Southeast Asia’s Mekong region, we have used this work to bridge policy processes focused on legality and climate change mitigation, advocating for a combination of sound regulation and good governance as an essential foundation to reforms in the natural resource sectors. Climate change initiatives that can both help reduce the likelihood of conflict and reinforce the peace-building process. The briefings also provide a case study of decentralization in Indonesia, a resource-dependent country that has emerged from decades-long military dictatorship and that is populated by ethnic minorities who lay claim—albeit often unrecognized by government—to many of the resource-rich areas. The case study compares post-transition decentralization enjoyed by local district governments to the “Special Autonomy” provisions for Aceh Province. Aceh’s special autonomy, which increased local control over natural resources and resource revenues, was a condition of the 2005 Peace Agreement that ended Aceh’s secessionist civil war. Since 2012, Forest Trends has been working with Government officials to further understanding of complex high-risk supply chains for wood products and support coordinated implementation of the EU Timber Regulation, US Lacey Act, Australian Illegal Logging Prohibition Act and, most recently, the Canadian Wild Animal and Plant Protection and Regulation of International and Interprovincial Trade Act (WAPPRIITA). The process is known as the Timber Regulation Enforcement Exchange (TREE), an ongoing series of networking and information-sharing meetings which brings the growing group of officials together every six months. The TREE process aims to support robust and consistent enforcement of demand-side timber regulations by providing a forum for officials to gain detailed insight into high- and low-risk timber flows entering their countries, discuss practical enforcement issues with each other and relevant experts from the forest sector and other relevant product/environmental sectors, establish emergent norms for Due Diligence/care in relation to different forest products, and build relationships with producer country governments, industry representatives, and other stakeholders involved in combating illegal logging and promoting global markets for legal timber. Below is a list of all previous meetings organized by Forest Trends and/or Chatham House as part of the TREE process. Agendas, slides, and meeting notes can be found at the links provided. Forest Trends supported five EUTR Competent Authorities to visit Washington D.C. for closed, informal meetings and training sessions with US Lacey enforcement agencies. Enforcement officials visited a port in Rotterdam, had meetings at the Thunen Institute of Forest Genetics and Wood Research in Hamburg, and participated in an EC FLEGT meeting in Brussels. Forest Trends created its REDDX initiative to provide information that helps governments and other REDD+ stakeholders gain a better understanding of the financial flows associated with REDD+ and to assess this financing’s gaps and needs against national REDD+ strategies. Up until 2015, over US$7.3 billion had been pledged to support REDD+ “readiness” through capacity building on the ground in tropical forest countries. Despite such high levels of multilateral and bilateral financial commitments, information remains limited on how much of this money is actually flowing to countries at the national level, which types of REDD+ activities are being supported, and which organizations are managing and implementing these activities. Types of activities supported by the current financial commitments, such as improved forest and land management, carbon offsets, stakeholder engagement etc. Forest Trends’ Public-Private Finance Initiative works with public and private sector partners to create innovative mechanisms that increase financial flows to forest conservation and low-deforestation agriculture in tropical forest countries. We see the potential to use public sector money to reduce risks for the private sector in investing in forest conservation and farming models that conserve and restore forests and degraded lands. For example, in Brazil, we are working with the World Bank to design “forest bonds.” These are bonds, issued to the mainstream debt markets, where the proceeds are allocated towards forest protection in the Brazilian Amazon. This might mean providing low-cost loans to farmers to help them preserve a certain percentage of their land as forest and, in doing so, help them comply with the Brazilian Forest Code. We see a great opportunity to link forest conservation to sustainable commodity markets and supply chains via mechanisms such as certification and income from sale of REDD+ credits. For example, in Peru and Brazil, we are working with local entrepreneurs, project developers, and international asset managers to explore ways of including small farmers in coffee and cocoa supply chains. Methods to do so include linkages with European specialty commodity markets, guarantees from development finance institutions, and income from project and jurisdictional REDD+ credits. It is often cheaper for small farmers to expand into nearby forest rather than increase the productivity of the land they already own. In addition, smallholders often find it difficult to access low-cost loans for their work from state banks. We are helping farmers to more easily access international climate finance that would allow them to improve the productivity of their farming operations. For example, we are working in the State of Mato Grosso, Brazil with the Forests, Farms, and Finance Initiative to develop a zero-deforestation certification scheme and accompanying high-level finance mechanisms that will reward farmers for conserving forests and increasing yields on existing land. Forest Trends’ Supply Change Initiative runs the world’s largest and most comprehensive database on company commitments to reducing deforestation related to agricultural commodities. Commercial agriculture drives as much as two-thirds of tropical deforestation globally, and most of the forest clearance and impacts stems from the production of the “big four” commodities: palm, soy, timber & pulp, and cattle. A growing number of businesses are determined to change course and are making commitments to reducing deforestation in supply chains. However, public information on how these commitments translate into action on the ground is scarce. Forest Trends’ Supply Change initiative fills this gap by closely tracking companies’ progress towards these commitments. Supply Change’s collaborators are CDP and WWF. WWF brings to the table decades of support to companies making the transition to deforestation-free commodities, and CDP adds an ever-strengthening track record of motivating companies to disclose their impacts on the environment and take action to reduce them. Supply Change combines these assets with Forest Trends’ long-standing technical expertise in tracking and analyzing environmental markets to make for a robust analysis of these corporate commitments. As of mid-2017, Supply Change is tracking more than 700 companies that have business practices linked to the “big four” commodities; they produce, process, trade, manufacture, or retail products linked to the “big four” commodities. In addition to tracking these companies’ public commitments to reducing deforestation in their supply chains, Supply Change also researches policies and practices that support their commitments and strengthen the sustainability of their supply chains. These include policies related to commodity certification, traceability, transparency, supporting smallholders, protecting biodiversity and wildlife, improving water management, and increasing yields per hectare, among others. See here for the complete list. Supply Change is an evolving initiative, uniquely designed for partnership and collaboration to ensure it meets the ever-developing needs and interests of its stakeholder network of businesses, non-profits, governments, financial institutions, academic researchers, and the media. Forest Trends’ Water Initiative designs, implements, and brings to scale effective investments in ecosystems that support clean, safe water for people and nature. From Sao Paulo to San Francisco, people around the world are facing a severe water crisis. Traditional (“gray”) infrastructure solutions alone will not suffice to meet this challenge – they tend to be costly, inflexible, and vulnerable to climate change and other shocks, and can also contribute to environmental degradation. A fundamentally new approach is needed that combines “gray” solutions with “green” systems such as forests, grasslands, and wetlands, which protect our access to clean water. Green+gray approaches can reduce costs of regulating and filtering water, require less energy while reducing GHG emissions, manage a range of risks to water systems, increase resilience to climate change, and provide a multitude of environmental and social co-benefits. Natural infrastructure is poised for scale in Peru as Peruvian leaders have increasingly recognized its critical role. New national policy advances have dedicated a portion of water user fees to address water security and climate risks. An estimated US$30 million in water tariffs have already been allocated to payments for ecosystem services projects. An additional US$86 million allocated for climate change adaptation and disaster risk management could also help fund natural infrastructure investments. To consolidate these important policy developments, it is essential that the committed funds result in demonstrated improvements in community, city, and local business resilience to water and climate risk. The Natural Infrastructure for Water Security Project will demonstrate how well-managed natural infrastructure projects in Peru deliver water security benefits and are sustainable, cost-effective, and scalable. From Amazonian forests to pre-Incan infiltration canals to water-rich grasslands, green infrastructure delivers a range of benefits which need to be better quantified and communicated. Forest Trends is working with a diverse group of experts to build and communicate a robust evidence base for the hydrological and economic benefits of green infrastructure. To do so, we are championing a performance-based approach that applies cutting-edge design principles and innovative science such as remote-sensing technology and regional water monitoring network to measure the benefits of green infrastructure. Building capacity in designing, financing, and implementing green infrastructure will address a major hurdle in scaling up green infrastructure – the number of organizations and experts within the water sector with the skills needed to implement projects. Key skills and experience are currently concentrated in several institutions and organizations, and Forest Trends is working with partners, such as the Green Infrastructure Working Group of the Association of Latin American Water Utility Regulators (ADERASA), to build regional capacity in the design and implementation of green infrastructure projects through the first-ever comprehensive green infrastructure course for the water sector. Combining the power of private finance with public investments, the new models for financing can unblock bottlenecks to scaling green infrastructure. With partners in engineering, water utilities, and finance we are developing and testing new public-private co-financing for water and building capacity for developing pipelines of investable projects. To be effective, green infrastructure has to be brought to scale. Forest Trends is working with local leaders and top technical experts to develop a new generation of decision tools for incorporating green infrastructure as a key component of sustainable water management. Innovations in master planning, scenario development, and assessing green infrastructure’s multiple benefits will help bring these solutions to scale. For example, in Lima, Peru, which is allocating $135 million from its water tariff to invest in green infrastructure and climate change adaptation, a Green Infrastructure Master Plan will serve as a first model for integrating green and gray infrastructure planning and water resources governance processes that is client-driven, results-oriented, cross disciplinary, and communicates the value of green infrastructure in clear and actionable terms. Learn more about how we are partnering with organizations and governments in many countries around the world (for example, Peru, China etc.) to demonstrate these benefits and develop innovative investment models that allow green infrastructure to play an effective role in addressing the global water crisis.